For the Love of Chocolate Scholarship Foundation offers scholarships for students accepted into The French Pastry School in Chicago who demonstrate financial need. The school offers two programs. L’Art de la Pâtisserie is a 24-week program that teaches all aspects of pastry, baking and confectionery arts. L’Art du Gâteau is the Professional Cake Decorating and Baking Program that lasts 16 weeks. Deadlines for applications correspond to the three semester start dates in July, September and January. Interested students must submit their applications prior to the deadlines, provide proof of financial need, answer essay questions and include two letters of recommendation. Scholarships are awarded on a first come first served basis. 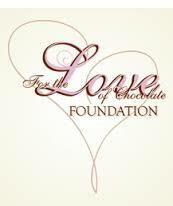 For the Love of Chocolate Foundation awards scholarships to encourage more students to consider a career in pastry arts. Students must be enrolled full time to be eligible and do not need to have prior education in the pastry industry. Classes are taught at The French Pastry School of Kennedy-King Colleges in Chicago. Funding for scholarships is provided through foundation sponsors, alumni, industry vendors and associates.